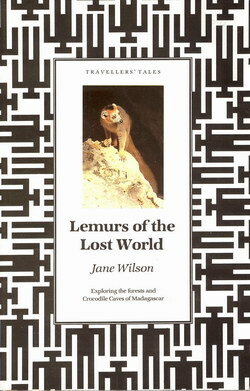 A travelogue describing the adventures of a 1986 British scientific expedition to Ankarana, northern Madagascar. Rising 600 ft from the dry savannahs of northern Madagascar, the Ank�rana Massif hides its zoological riches behind a fortress of unclimbable cliffs, vicious limestone pinnacles and ferocious thorny shrubs. 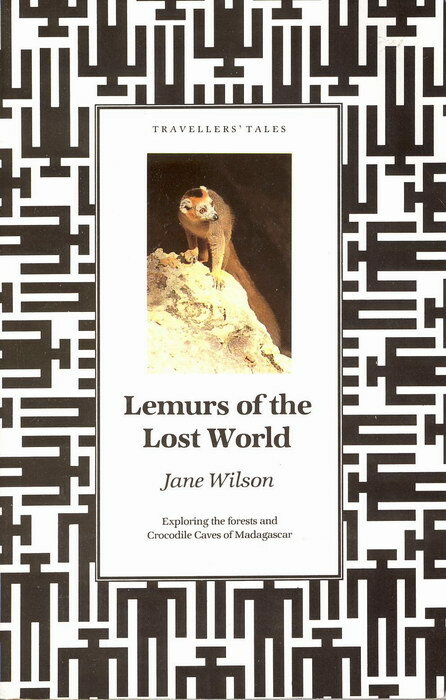 Entering this Lost World through 60 miles of caves and along deep forested canyons, Jane Wilson found not dinosaurs but other gentler ecological curiosities: a wealth of lemurs, strange endemic birds, chamaeleons, blind fish and much more. Ankarana has its guardians too, twenty-foot long crocodiles live in the subterranean rivers and six-inch hairy spiders, lethal scorpions and huge venomous centipedes patrol the sunken forests. 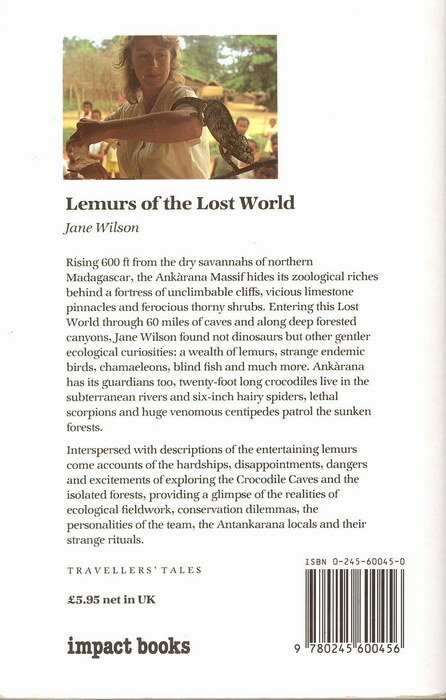 Interspersed with descriptions of the entertaining lemurs come accounts of the hardships, disappointments, dangers and excitements of exploring the Crocodile Caves and the isolated forests, providing a glimpse of the realities of ecological fieldwork, conservation dilemmas, the personalities of the team, the Antankarana locals and their strange rituals. 2. Indri � the Man-dog? Very Good. Minor creasing to spine. Refer to the glossary for definitions of terms used to describe the condition of items.